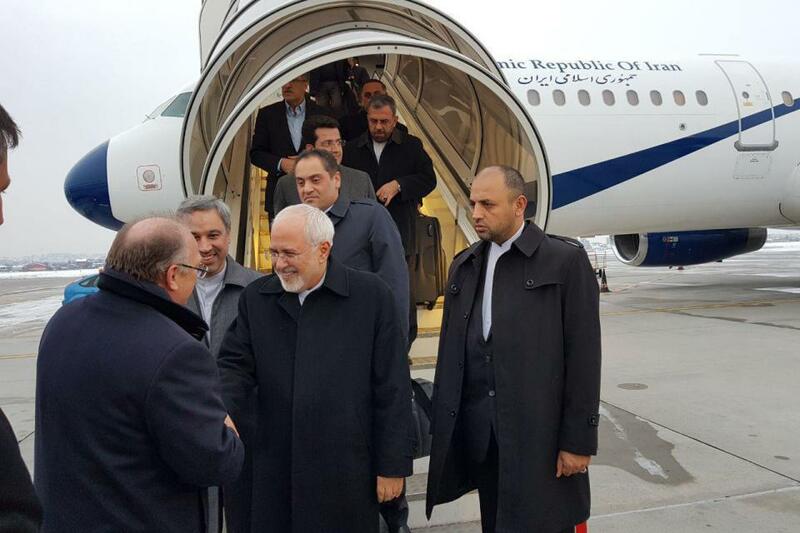 Iran’s Foreign Minister Mohammad Javad Zarif has arrived in the Bulgarian capital of Sofia on the second leg of his tour of the Balkans and Eastern Europe. Heading a high-ranking political and economic delegation, he arrived at the Sofia International Airport and was welcomed by Iranian chargé d’affaires in Sofia and Bulgarian officials. During their one-day visit, Zarif and his entourage are scheduled to have separate meetings with President Rosen Plevneliev, Prime Minister Boyko Borisov, and Foreign Minister Ekaterina Zaharieva. They will also hold talks with Chairperson of the National Assembly of the Republic of Bulgaria Dimitar Glavchev, and Minister of Economy, Energy and Tourism, Asen Vasilev. The Iranian delegation, which arrived in Sofia after a two-day visit to the Serbian capital Belgrade, will leave Bulgaria for Croatian capital Zagreb on Wednesday February 28.